EPW017666 ENGLAND (1927). Larkhall Lane and environs, South Lambeth, 1927. This image has been produced from a print. 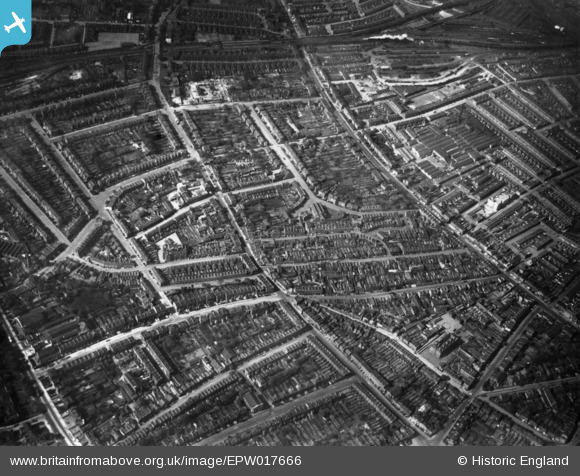 Title [EPW017666] Larkhall Lane and environs, South Lambeth, 1927. This image has been produced from a print. Train of Pullman cars with some ordinary coaches on the back. The Golden Arrow?